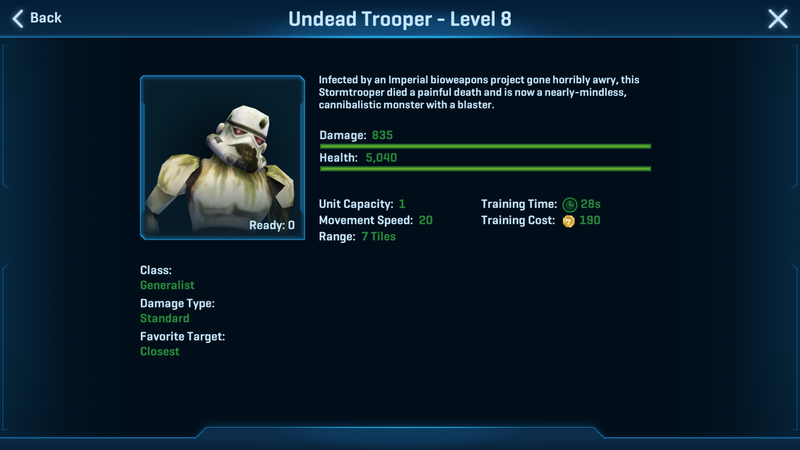 For Halloween we have on mass undead imperial infantry, caused by a researched virus that escaped the lab during an attack, every few hours as our hero defence. They are very, very tough because of the sheer numbers. I have only won two 2 star defences so far. And not everyone will have the same options I have listed below. Just a few tips. As you can see mine is in the north corner. So no zombie troops will ever attack from the top left or right side. Thus I can shift my turrets, traps and droideka to the other two sides where they will attack. As you can see in next screen shot. 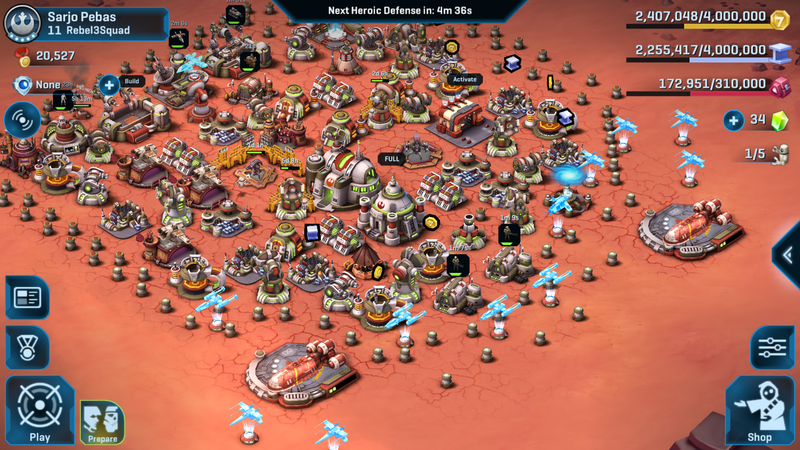 Reason the bottom left wall has none is that is where I deploy my heroes and squad centre along the far left side just behind the wall for some cover. So while they gradually move right, the traps and droideka hold the undead back while they make their way there. So far I have found snipers work best. For distance while heroes take hits, and for speed covering my base. I intend to include at least one medic droid next time to help heal them and my heroes. Have it full of HWK or if not unlocked that yet, X-wings ready in time for the defence. And despite the temptation to use all in first wave, really need if you can to use majority on second wave which is more devastating to base than first. I will move even more of my turrets away from the corners not attacked to the other sides the undead are attacking from. Whether that with a medic means I get a one star will let you know. 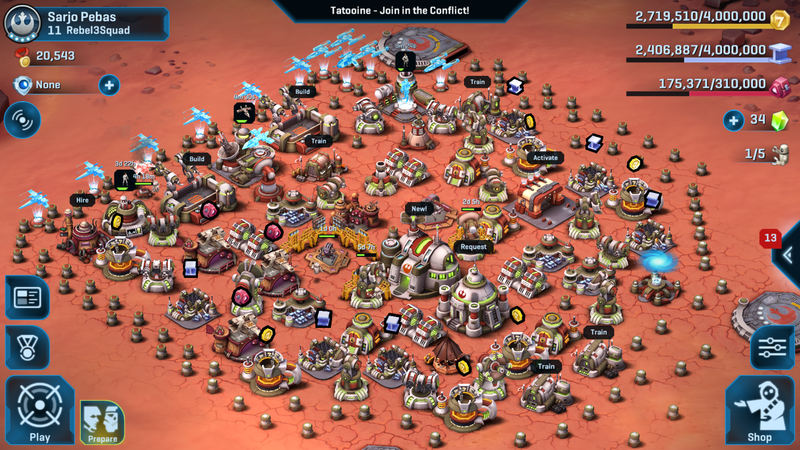 I also need more mortars – but as that will screw up Sullust base, have to wait for squad war to start before trying that. The thing with this game – it is never impossible just difficult and requires effort (wish we could save multiple layouts!). But it can be done. So far this is what I’ve won. Plus two data fragments for Princess Leia. Whether you thin it is worth the effort is up to you, but I think for rare data fragments and possible conflict unlocks, it might just be. Update managed 27% with 3 snipers 1 medic 1 speeder and a full command of HWK. 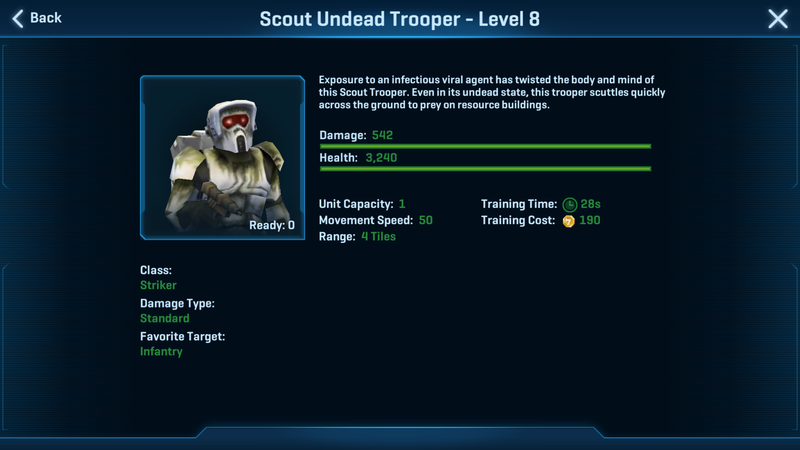 Still only got 10 undead scout troops, but the frag data was for winter heavies.